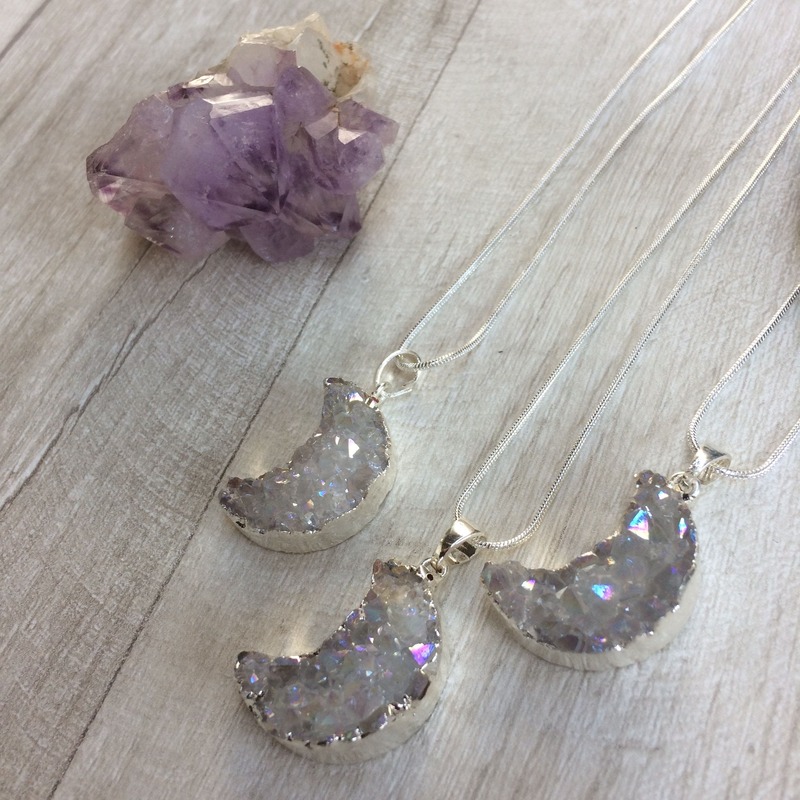 Inspired by the magic of the moon these glittering and sparkling crystal necklaces are the perfect accessory for any wanderlust dreamer and lover of the skies! 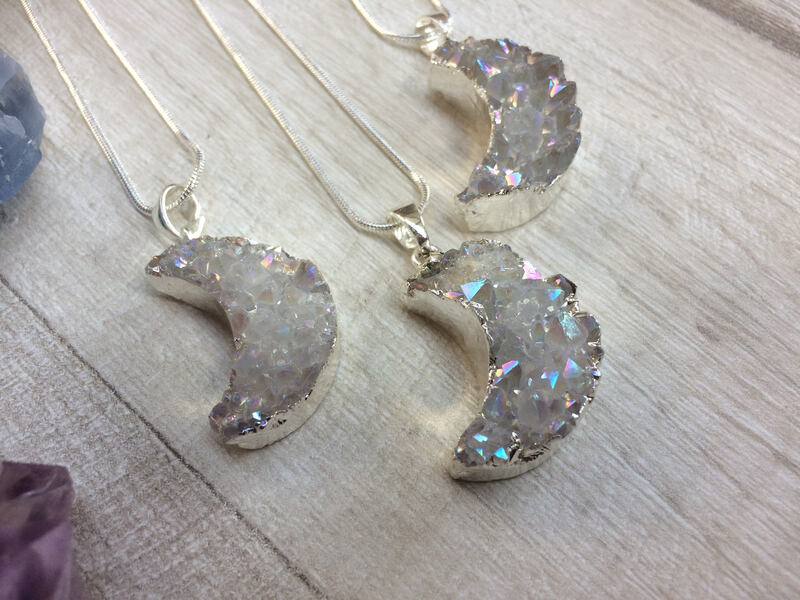 We simply can't get enough of these mystical moon necklaces! 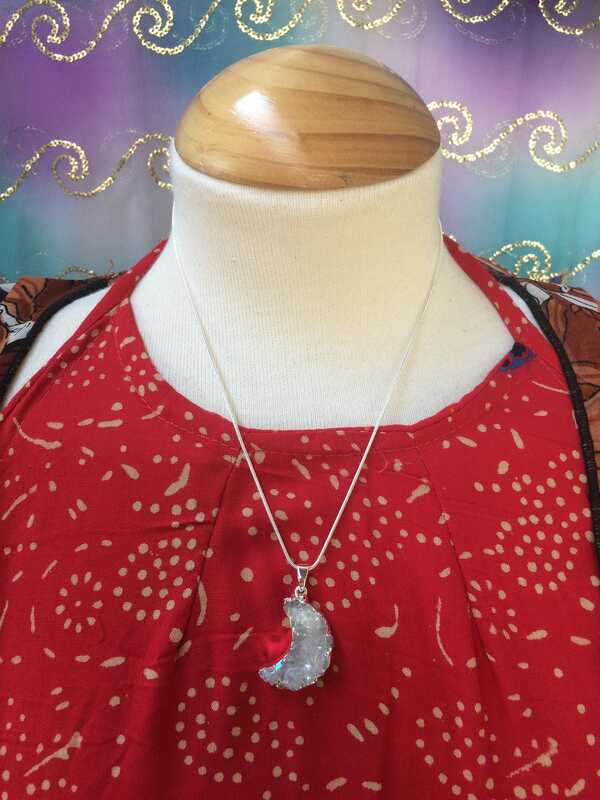 I love working with the energy of the moon and a lot of my designs are inspired by the stars and sky! 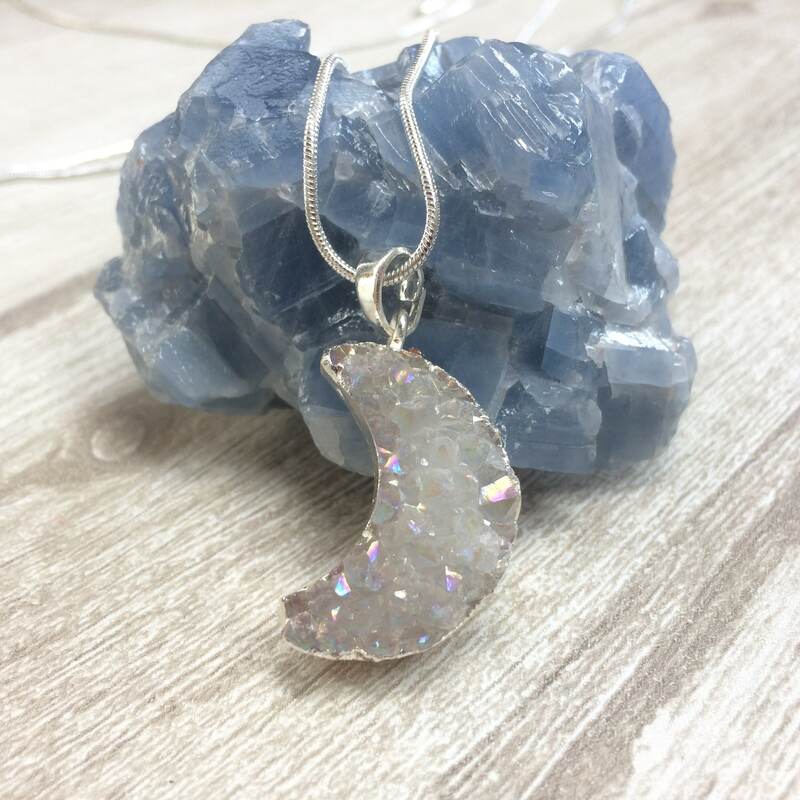 These necklaces have been made using silver plated electroformed Aura quartz druzy crystals which glimmer and shine as you wear them. *All jewellery comes carefully packaged in an organza or sari bag. This is to protect the jewellery whilst also meaning that it is perfect for gift giving. This necklace is gorgeous! Arrived on time. Will buy from this seller again! Such a gorgeous necklace! The Moon is a great size and the sparkle is stunning. I'm so happy with this I'm in love with it! A great seller and amazing products!